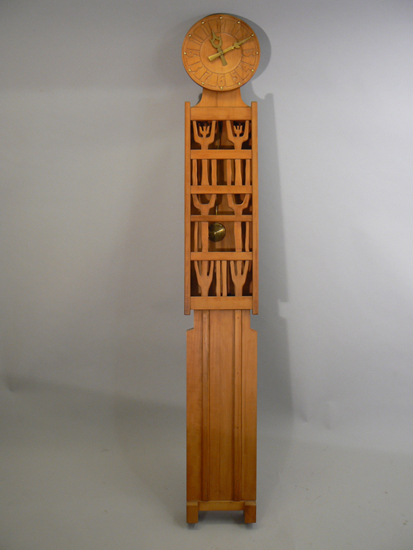 Clock in pear wood made and designed by Rüdiger von Münchow, Sweden. ¨Sekler¨ (Seasons). H 189 cm.